Young adults these days are unlikely spending their money in the ways you might expect, prioritizing certain lifestyles over others. The following sections will hopefully outline some of the most prevalent of these trends to help highlight why this is the case. If you're a young adult, it's likely that you are choosing organic - at least for some products that you buy. You may not care so much about organic ice cream, but 40% of you buy only organic food for your babies and toddlers. 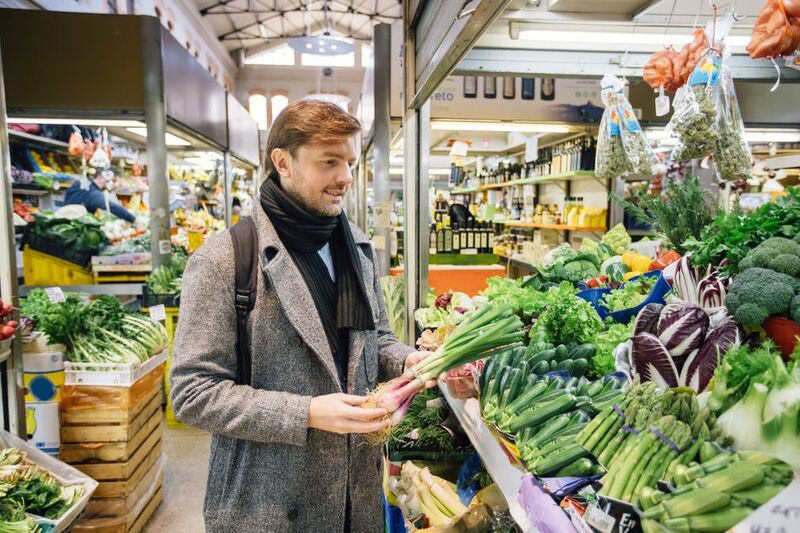 This tilt towards organic will continue to grow as more and more young adults start families and want the healthiest and freshest foods available for their little ones - and for themselves as well. Organic food is going mainstream. Forget about the big names like Coors and Budweiser. Young adults aren't drinking as much beer as generations before them, but when they do drink beer it's got to be special. Craft beers - made by smaller breweries with unique flavors and even more unique names - are what Millennials and Gen-Xers want, not mass produced beers their parents drank. In fact, 17% of young adults who are making good money in their careers are more likely to buy a pricey bottle of wine than their Baby Boomer parents, only 5% of whom will splurge on a pricey Pinot Noir or Rose'. Housing eats up a big portion of most young adults' income, with a majority spending over 30% of their take-home pay on a place to live. Unlike their Boomer parents, who were advised to spend no more than a quarter of their income on housing, Millennials don't have that option in most places. Most landlords won't allow renters who can't meet that 30% threshold, and yet there are still 20% of Millennials who are spending over 50% of their income to put a roof over their heads. Homeownership is a goal for many, but not a priority. Though a home is a good investment, young adults are resistant to adding more and more expenses to their already hard to manage budgets, and so put off making such a big purchase. With 71% of graduates in 2012 carrying student loan debt, this burden is practically universal among young people - and even some in their forties and fifties are still paying off loans. Despite spending way too much on coffee drinks and eating out, young adults are managing to squirrel away quite a bit of money. Overall, Millennials are saving 19% of their salaries, compared with their Boomer parents who save only 14%. How are young adults putting away all that cash? They are wisely utilizing company savings plans - 401Ks with matching are extremely appealing to forward-thinking young adults who want to plan for their futures. Retirement is something young adults want to plan and be ready for, and starting in their twenties is a great way to begin to grow a nest egg for their future. Young adults are finding ways to give back that are meaningful to them and practical, as well. For example, Tom's Shoes, a favorite among Millennials, gives one pair of shoes to a person in need. This melding of fashion and philanthropy is very appealing to young adults who are big fans of multi-tasking as a general rule. Young adults give back is by purchasing and spending on things and places that donate a portion of their proceeds to organizations that help others. Restaurant fundraisers are one of the favorite ways for young adults to both enjoy themselves and do something philanthropic. Almost 50% of millennials will buy something to support a cause they believe in, and 30% will pay a little extra for an item or experience in support of an organization that they feel is worthy. Never has travel been more personalized and accessible than it is now, and young adults are taking advantage of that. With the rapid rise of companies like Airbnb, mobile offices that offer the opportunity to work from anywhere and discount airfares for savvy buyers, young adults are seeing the world with as much ease as and as little expense as possible. According to a study by Airbnb, travel comes in second only to saving money as a priority, putting buying a home far below. As Millennials postpone milestones like marriage and children more and more, their opportunities for indulging their wanderlust grow. Unlike coffee drinks and avocado toast, one thing Millennials show no regret about spending money on is fitness. From a pricey spin class to a pair of running shoes, getting the best quality equipment and experience is worth paying top dollar to young adults. While they may be saving money by not paying for basics that Boomers do such as landline phones, cable TV and their own cars, for most young adults following the trends and trying out different fitness experiences is not only fun but good for their health. Healthcare for some young adults is an expense that can break the bank. Many Millennials are working at jobs that don't provide health care coverage, and paying for individual health care can run upwards of $300 per month or more. Even with a group health plan, deductibles can be prohibitively expensive, and keep young adults from seeing specialists when necessary. Factors in the cost of medications such as birth control, allergy treatment, anti-depressants, or other types of medicine that young adults may be taking and health care become a seriously expensive part of their budget. When young adults start families, their healthcare expenses go up with each new baby.